Hi Gang! 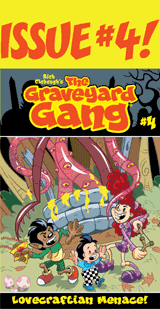 It’s been too long between posts, but just want you to know that I’m still here and so is The Graveyard Gang. 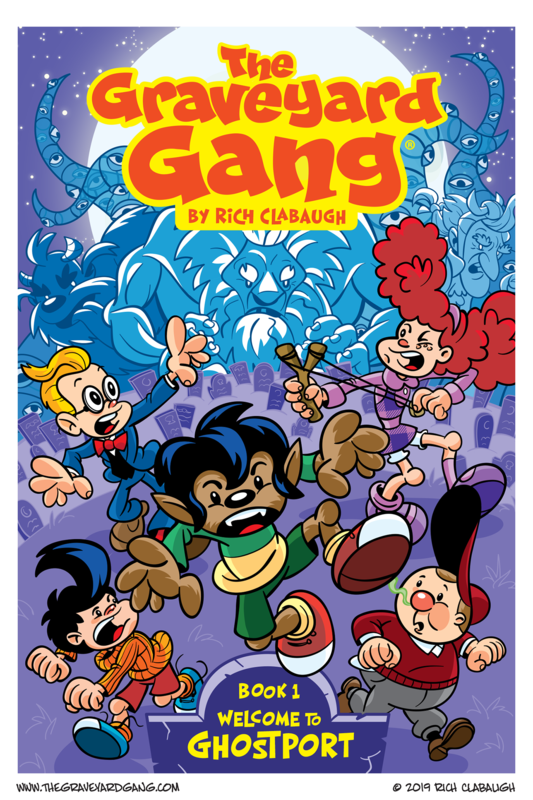 I wanted to publicly share the cover to my first trade paperback that collects the Gang’s adventures so far. It was amazing to hold this book in my hands for the first time and look through all the pages. I sold it at the Boston Megafest this past August and it did great! The only drawback was fans who had already bought these stories in comic book form were disappointed it didn’t contain all new material. 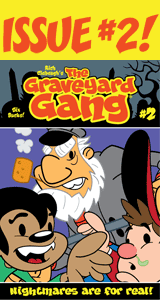 So new Graveyard Gang stories? Yes, I am working on some right now! I’ve got some great ideas for The Gang that will add to the mythology of the series as well as introduces some new characters too. I’ll be sharing some progress on them soon! 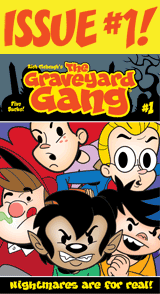 There are also some new additions to The Gang as Cora Kane and Ann Chan join, much to the chagrin of Buster! 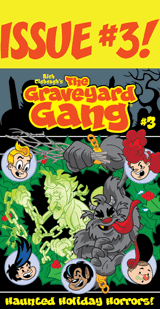 Now The Graveyard Gang numbers 7, will this be a lucky or not? 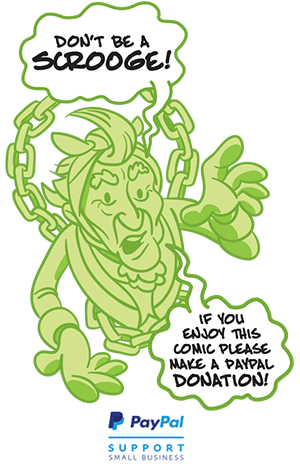 That’s it for now, so thanks for reading and keep on the lookout for some new stories!